Sonitarium employs a variant of DSF synthesis with aliasing-free oscillators that generate a quadrature stereo signal. Providing up to 200 oscillators per voice, Sonitarium is most suitable for fat pads, drone sounds, and horror music. 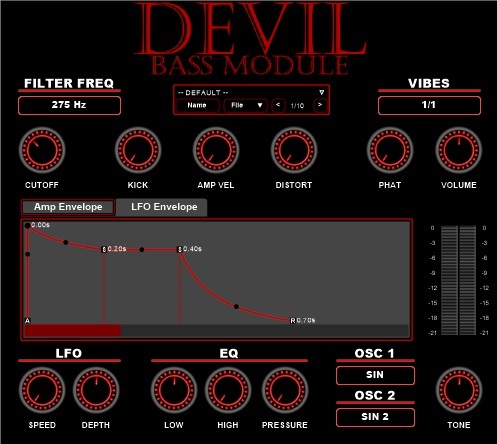 DEVIL BASS MODULE 2.5 is a bass instrument for creating deep to high vibrant basses in your musical creations. Orion Sound Module: 3GB rompler Audio Unit and VST plugin. Developer WOK has made all his plugins available for free (some extra plugins are downloadable after a donation). 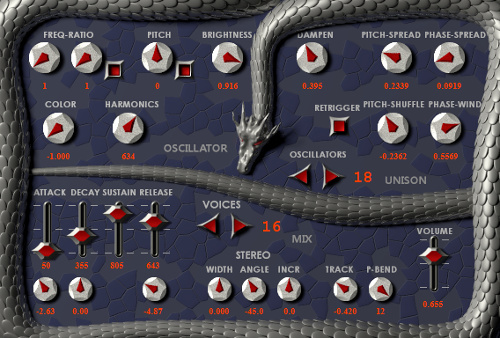 There are more than 80 effects, instruments and MIDI-tools (arps, step sequencers, etc.). 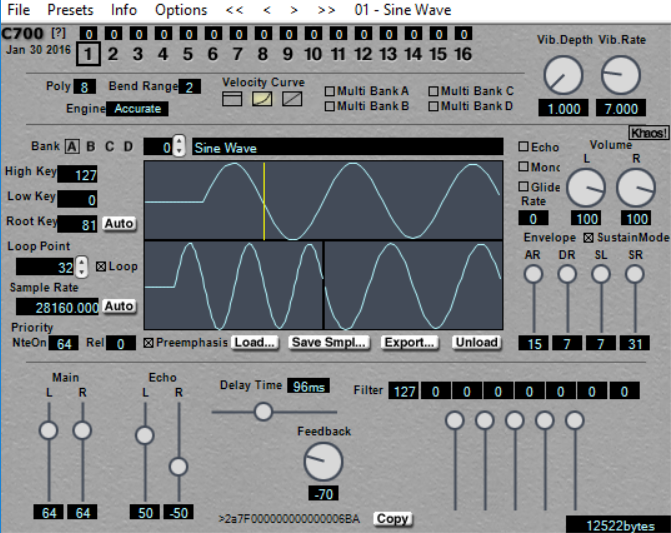 SL Drums 2 is a Free sample based virtual drum machine, available as a 32-bit and 64-bit VST/AU plugin for Windows and Mac OS based digital audio workstations. 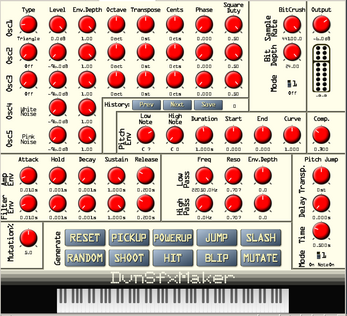 This VST does: Emulates the SPC700 chip used by the Super Nintendo Entertainment System. It plays back up to 8 channels of sample-based instruments, and includes settings for delay (echo), ADSR, filters and vibrato speed/depth. The plugin can import SPC music files from most Super NES games to use their instruments and samples, export and import the individual samples in BRR format, and import other audio formats to use as samples (AIF and SD2 on Mac, WAV on Mac or Windows). After loading samples into memory, you can check out the waveforms, adjust loop points, change the sample rate and set the root key. Quality: With the right settings, it replicates the Super NES hardware's sound near-perfectly for all intents and purposes. By default, the engine is designed to stay accurate to the Super NES's limitations, and will warn you if the amount of memory being used exceeds the system's capacity. This can be changed to a relaxed engine that allows for up to 16 channels at once, and will not limit the sample memory. Psychic Modulation Construct v1.0 VST Drum Machine FREE for Black Friday. After the pretty bad (because it was merely sampled from some of the most popular patches) "Anthology 1987" recreation of the Roland D-50, Roland has finally done what I hoped for years they would do: A full emulation of the classic Roland D-50! The only problem I have with it right now is that it's subscription-based, so you cannot buy the plugin, you have to rent it monthly. Actually they promised that you would be able to keep one of the plugins for every year of subscription, so after one year of subscribing you could e.g. keep the D-50, which I think is actually a fair pricing model compared to most other subscription stuff. However, the software that is supposed to manage your licenses is really crappy at the moment and I wonder if it will stay that way. That said, there is now the Roland D-05, which is a hardware boutique synthesizer recreation of the D-50. Available for a rather reasonable price, too, but sadly it's of course not multitimbral. I recently bought very cheap VST synth.